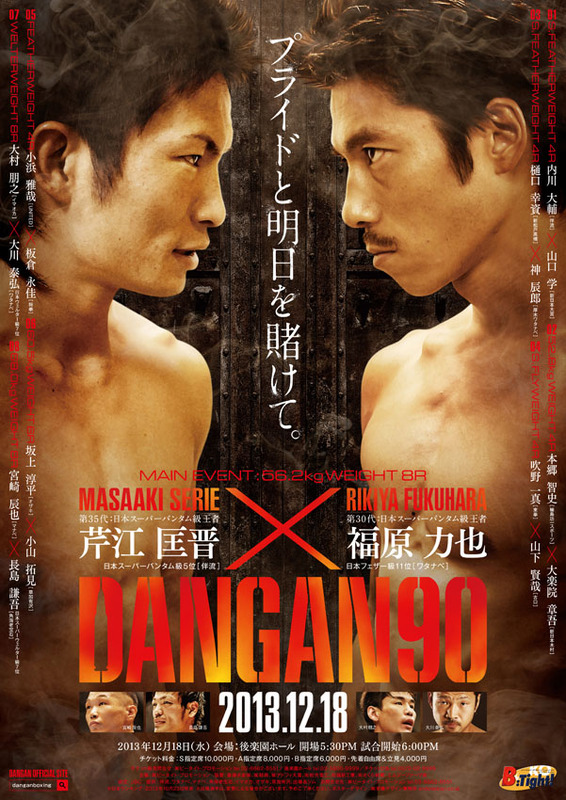 The 90th Dangan show is one that won't interest many international fans but on the Japanese domestic scene it's certainly worth taking note of as former Japanese Super Bantamweight champions collide. In one corner is Masaaki Serie whilst in the other is Rikiya Fukuhara. Although just an 8 rounder it's a bout that is certainly very promising domestically. The rest of the fights on the show are forgettable on paper but this main event is very, very interesting. The poster seems to build on the idea that Serie against Fukuhara is almost as big as a title fight despite it only being an 8 rounder. We really do expect the fight to live up to the expectation and do not be shocked if this is one of the most memorable domestic clashes of the year.